I’m absolutely loving the interest generated by the Genealogy in the Works series here at The Hipster Historian. It has been so much fun interviewing everyone and I can’t wait to share future stories with you. Have you missed the last two weeks? Check out my interview here and Patrick Barrett’s “Being Gay in Genealogy” interview here. 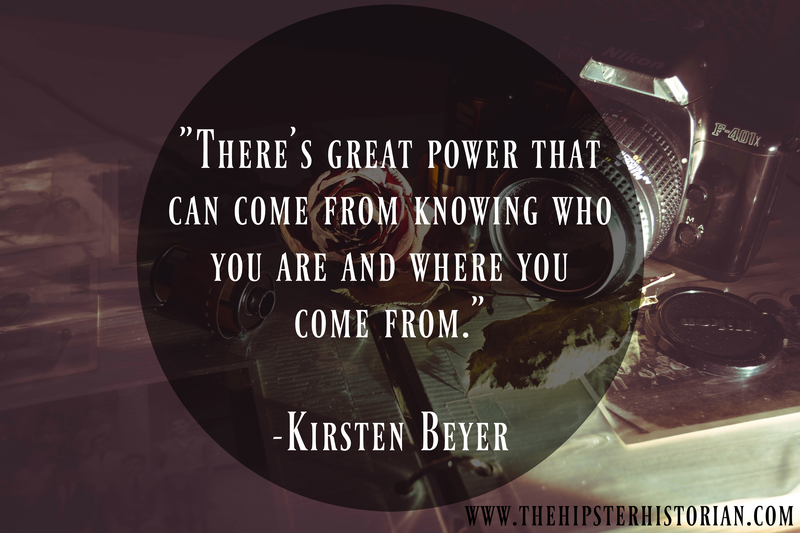 Today’s interview happens to be with a long-time high school friend, Kirsten (Graff) Beyer. Kirsten and I became friends when I moved friendless to a new state, a new school, and a new life at the beginning of my 9th-grade year. Kirsten was always kind to me and even though our interests and passions have changed over the years, Kirsten and I remain friends with a common issue. Read on to find out more. 1. How did you get interested in genealogy? As a child, I was always fascinated by history and antiques. My love for genealogy though came specifically at age 10. I remember sitting out on the front porch with my mother one evening, talking and reminiscing about family memories we had. She shared stories of her father (who passed away when I was just a year old), and her grandparents. I remember feeling intrigued and wanting to learn more. Sensing my excitement, she asked me to wait while she went into the house. A few moments later she returned with a box full of files, papers, photos, and books. She shared that before her father passed away, he gave her all of the genealogy information he had, and asked her if she would keep it and continue the work for him. As we searched through the box, we came across an old, worn book that appeared to be a ledger of sorts. She explained that it was the journal of my great-great-grandfather! I was utterly mesmerized as she slowly thumbed through the pages full of letters and photos and handwritten passages. I loved the feel of the book in my hands and the smell of the old paper. From that night on, I was hooked! I was determined to learn as much of my family history as I could, and I have loved it ever since! 2. Do you think your experience as someone who cannot have biological children colors your interest in genealogy? I’ve always been a very traditional person by nature. Very much “by the book” and believing that there is a natural order to things. My 8+ year struggle with infertility has been deeply painful and has colored every aspect of my life. I think it that very traditional part of me though that mourns the deepest. Feeling like I have thrown off the natural order of things, or “broken the family chain”. That desire to “keep things going” is hard to reconcile when you are just not able to do so. The empty family chart under your name can be a stark reminder of what you’re missing. Despite not having any children of my own though, I feel especially driven to work the family history for my nieces and nephews. As the oldest of 5 children, I was the only one to take a strong interest in genealogy growing up. Many stories and experiences have been passed on to me, and I know that should something happen to me before I preserved them, they would be lost completely. I also had the beautiful privilege of traveling to Germany to meet my great-grandmother several years before she passed away. I was the only one of my cousins ever able to meet this amazing woman in person; to sit at her feet and hear her stories in her own voice. The only one who knew what her hands felt like, and what her laugh sounded like, and what she smelled like when you hugged her. I’m the only one of my siblings that has seen the village my mother was born in and heard the stories from those relatives there that are no longer with us. Genealogy is important to me because I feel an obligation to share those things! To share my memories and my knowledge and my experiences with my family members, particularly the children. Knowledge and insight into your past can be a powerful tool. I feel that obligation to my nieces and nephews to preserve those stories. There’s great power that can come from knowing who you are and where you come from, and the lessons that can be learned. Whether I ever have children or not, I still feel like these stories are worth sharing. Stories of faith and fortitude; of strength and resilience; of love and beauty; of courage during dark times—I suppose, in some ways, that’ll be a type of legacy I’m able to leave behind. The gift of their stories. The gift of my family history. 3. What is your current study or area of passion? 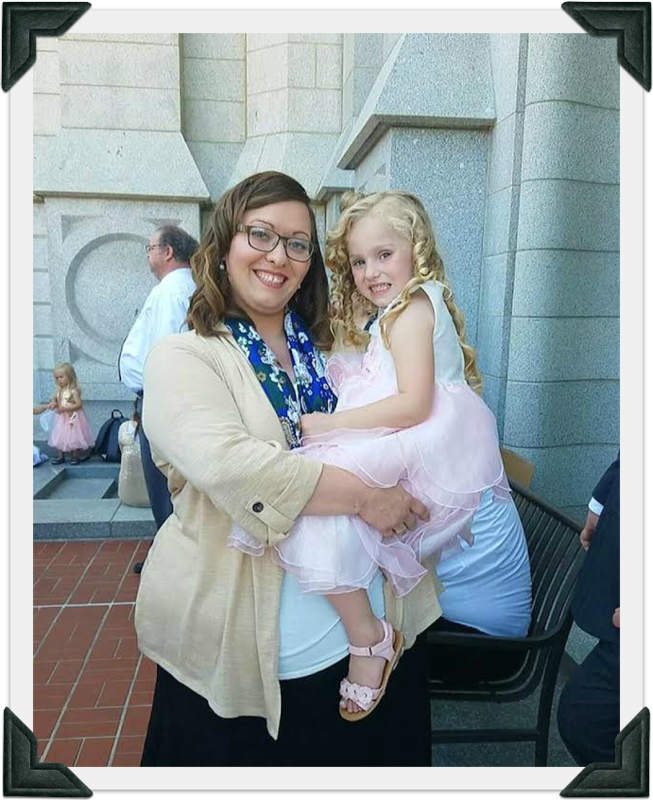 I am passionate about my family, particularly my sweetheart husband Sean and my little nieces and nephews! They are the sunshine in my life. I also love being Mama to my fur babies. We have a 7 yr. old cat named Paw, a 6 yr. old corgi named Moe, and a 7-month-old bunny named Kaylee. I’m passionate about traveling and love studying history, cultures, and languages from around the world. I’m passionate about reading and my husband would attest to the fact that I own more books than I have space for! I also love spending time with friends, cooking/baking, philately, crafting, writing, party planning, kayaking in the summertime, and of course, genealogy! 4. Tell us a quick little story about your family history! Growing up, we regularly heard the dramatic tale of my grandparent’s marriage. My grandmother Christel was the oldest of 7 children and the only daughter. Her family lived in a small village in southwestern Germany. She met grandpa Richard while he was serving in the military and stationed near her village. They courted and fell in love. When they went to her home and announced their engagement, her mother became furious! Here was her only daughter, announcing her intent to marry to a recently divorced man that was an American soldier and who was not Roman Catholic. Talk about scandalous! It’s said that great grandma was so outraged at the news that she broke a china plate over her head! She told her daughter that if she married that man she would be cut off from the family. Christel loved Richard though and was determined to see the wedding through. 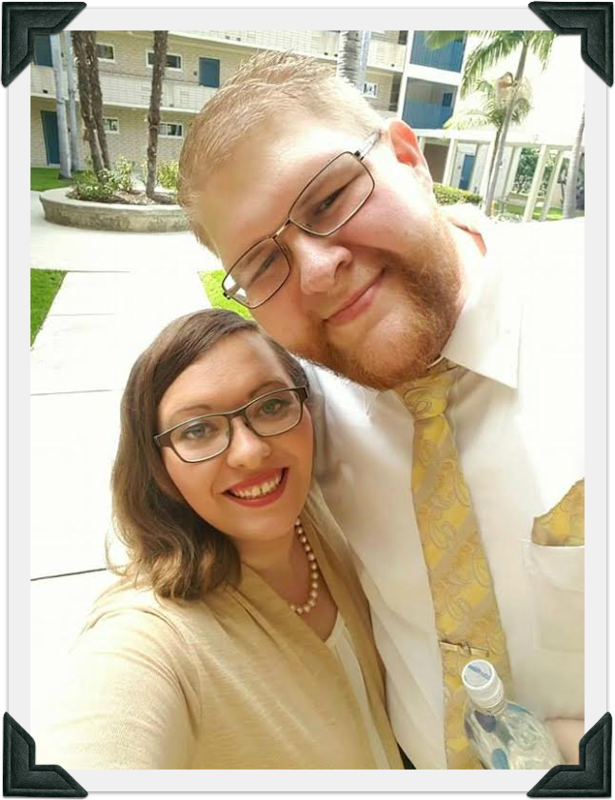 It wasn’t long before they were married, and soon after she became pregnant with my mother. 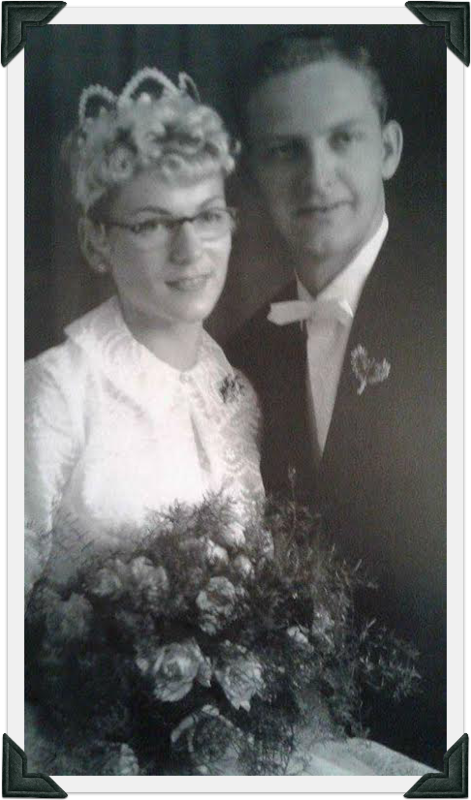 Fast forward 42 years–my mother and I were in Germany touring that small village. Grandmas brother Georg took us to the house that she and Grandpa lived in after their marriage, and the people that owned it kindly gave us a tour. Georg verified to us the validity of the story, and how upset and heartbroken great-grandma had truly been. He said though that the morning of the wedding, she had a slight softening of the heart, and allowed young Georg to go alone and be there at the wedding. Even though it makes me sad that Grandma had to suffer without the full support of her family, I’m happy that she had one sweet, familiar face from home to share in the joy of her special day. 5. What advice would you give to genealogists? First — Write things down! If something important is happening in your life or in your family, take the time to record it. Stories, special occasions, photos, meaningful conversations with loved ones. I first learned this lesson at age 14. My beautiful grandmother Mary was diagnosed with Alzheimer’s disease and had been slowly losing her memory over several years time. One weekend shortly before she passed away, she came to stay with my family and we enjoyed having her company. I took the opportunity to take her for a walk around our neighborhood one afternoon.We walked quietly for a while, and then suddenly she began to speak. She shared memories from her childhood and the small town she grew up in. She verified her birthplace, offered thoughts about her family members, gave me pertinent advice, and shared beautiful memories of when she and my grandfather were dating and he would take her dancing. She spoke clearly and surely, and I was both amazed and shocked, partly because I had never heard these memories and facts before, and partly because Alzheimer’s had stolen most of her ability to carry on a conversation in this way. It was if she was given a few moments of clarity to share what was on her mind, and it was an amazing thing to witness. I was aware something special was happening, so I made it a point to pay close attention and write it down as soon as I got home. I’m so grateful I did! I always admonish people to take the time to write things down. Don’t wait until it’s muddled and fading or lost. Record it as soon as possible! Whether you’re verifying records, or desperately searching for a name, or sorting through belongings of a deceased loved one, always double check! I remember after my grandfather passed away in 2007, I was helping grandma clear old boxes and trash out of his room. Before I left, she handed me a small box of old 4th of July lights to drop in the dumpster on my way out. I got outside, opened the garbage lid, but before I dropped it I decided I would just double check. I opened the lid and was shocked to find an assortment of amazing treasures I’d never seen before! There was an old journal from 1935, a couple of small naval ledgers, a pocket knife, receipts, some jewelry and pins, a dog tag, and much more. For some reason, Grandpa had chosen to stash these old keepsakes away in this light box, and had I not taken the split second to open that box and double check, those treasures would have been lost to us forever. Third–Pass your love of genealogy along! For me, there’s something beautiful and exciting in sharing the joy of genealogy with someone, especially a child. To watch the spark in their eyes as they discover new and amazing things about who they are and where they come from. 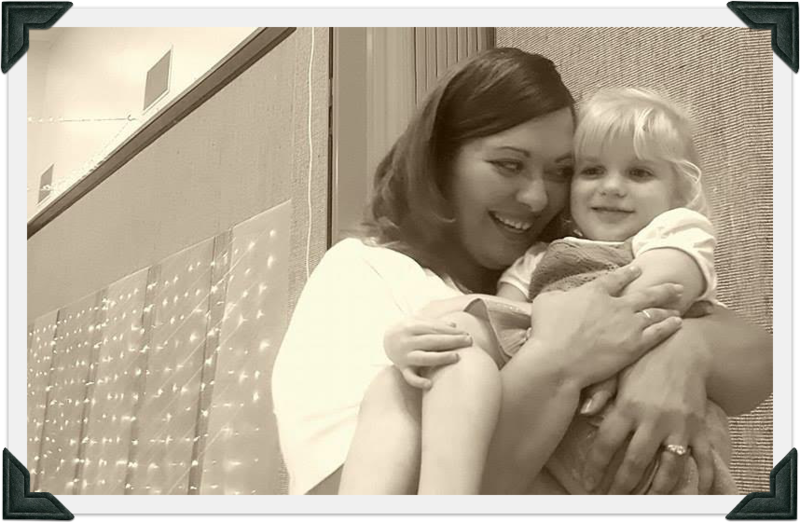 I had an awesome experience just last year of sharing the joy of genealogy with a young lady in my church. While sorting through some family records online, we discovered a small, private family cemetery on the east coast where some of her direct ancestors were buried. It was hidden away, had been largely forgotten, and when asked, her family had no knowledge of it. 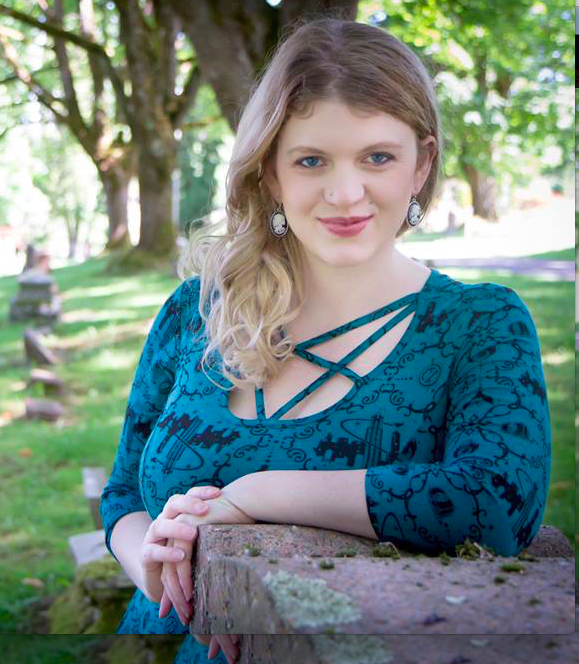 We reached out online to a genealogist in that area, and she verified that the cemetery was indeed there, and she was gracious enough to take photos of the tombstones so that we could verify names and dates and make the connections. To say my young friend was excited is an understatement! She fell in love with genealogy that night, and I felt privileged to be able to share that joy with her. 6. Why is genealogy important to you? As I mentioned before, it’s important to me to pass it along. It’s important to me that my nieces and nephews know where they’re from and who they come from. Connection to your past offers an incredible sense of self-worth. It’s an awareness that you are part of something greater. That is a never-ending sea of names and dates and faces, you are unique and rare and precious. That realization is a beautiful gift. Also, as a member of The Church of Jesus Christ of Latter Day Saints, I believe that the relationships we have with our family members are eternal and that we are all brothers and sisters connected in one long family chain. Genealogy is about building bridges, making connections, and reaching out in love to those that have come before you, and those that are following behind you. I suppose, in its essence, it is both a labor and a legacy of love. Thank you so much to Kirsten Beyer for this interview. 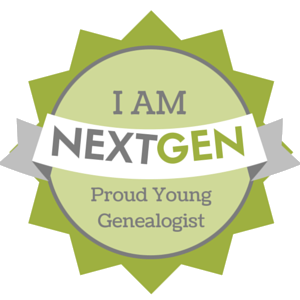 Be sure to check in next week for our next Genealogy in the Works interview. 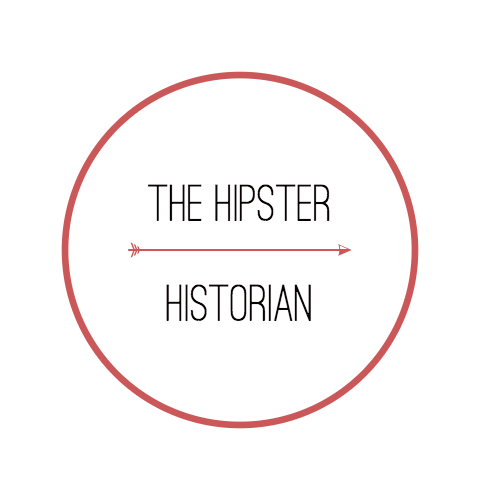 Follow The Hipster Historian on Facebook and Instagram.